Back in June, the White House published a formal request for information about the current state of AI research including some of its implications and risks. IBM responded to the request and gave an incredibly detailed yet succinct summary of the current state of AI which is no easy task given that the field of artificial intelligence is so vast. Their response was broken into topics including but not limited to: AI uses for the public good, fundamental questions in AI research and research gaps, and the legal implications of AI. This section of IBMs response to the White House gave examples of the various ways that AI can benefit the public such as: healthcare, social services, education, financial services, transportation, public safety, environment preservation, and infrastructure. Indeed, AI is already having a positive effect in these areas and will continue to do so. This section of IBM’s response detailed some of the difficulties currently facing AI researchers. For instance, the limitations of machine learning—specifically, that researchers have been unable to program AI that learns as humans do, and the difficulties inherent in programming AI systems that can analyze tradeoffs and take into account extenuating circumstances when making decisions. IBM also addressed the issues of controlling the development of AI and ensuring that it was developed in the right way and for the right reasons. As AI becomes more advanced policy makers will need to consider ways to keep AI in check. 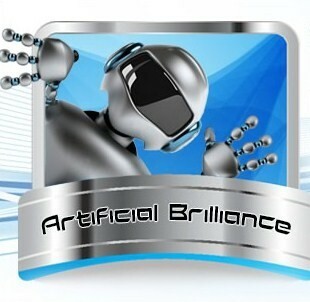 IBM also addressed social and economic implications of artificial intelligence, the ways that our education systems need to adapt to incorporate AI and to prepare students for a world filled with artificial intelligence, and suggestions for speeding up the progress of the development of AI, as well as many other subjects relating to the field of artificial intelligence.